Can you imagine how hard it was to stay healthy hundreds of years ago? How did they keep their teeth nice and clean with the tools they had available. We can pick up anything from the supermarket that’s been specially designed in a lab. The brushes we have are top-notch, we can buy floss in a little box, and the toothpaste has more chemicals in it than an illegal meth lab. You would think with all the things we have access to that everyone would have amazing teeth and a healthy mouth. That would be a big mistake to make because it’s certainly not the case. There are a lot of people who have trouble putting a toothbrush into their mouth. It’s almost like they’re allergic to it and it’s causing people to have terrible oral health. If you’re one of the people who thinks they are not reaching the required standards when it comes to keeping your mouth healthy then please read this. We’re going to be talking about everything you should be doing in this day and age. People need to understand that flossing wasn’t invented to waste their time. It’s actually very good at keeping your oral hygiene in check. 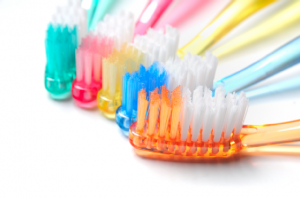 A toothbrush is the undisputed king of cleaning your teeth, but it’s not perfect and certainly can’t get into a few hard-to-reach places. With floss it can get in anywhere and it will ensure all the food has been removed from in between your teeth. If you floss after brushing your mouth will smell, so always do it first. This really isn’t meant to be condescending, but for some reason people find it hard to brush their teeth properly. They think what they’re doing is right and it’s not, but it’s easy to see why they think that. By brushing their teeth as violently as possible they think the teeth are cleaner. This isn’t the case and it’s been proved that moving the brush around slower and in circular motions is better for you. It also doesn’t wear your gums down to nothing. There are a lot of people who think water is tasteless and they will avoid it at all costs unless they are in the middle of the desert with no cans of soda around for miles. Maybe if they knew it helped with their oral hygiene they would change their mind. By drinking lots of water you’re continuously cleaning your mouth out and getting rid of the bacteria that is in there. It’s also amazing for your skin, so it’s like a double bonus. You might be lucky and your toothbrush will already have one on the back, but if it does you actually need to use it to see results. If you don’t have one then they are easy enough to pick up in any supermarket. The tongue is a place where millions of bacteria gather and brushing your tongue with a toothbrush isn’t enough to get rid of it all. When it starts gathering there it’s an easy way to get a stinky breath real quick then you’ll get self-conscious breathing in-front of people. It’s time to eliminate as much sugar as possible from your diet because it’s doing serious damage to your teeth. We have far too much sugar in our diet because of the food we have available. You wouldn’t see a caveman going hunting with a few chocolate bars in his pocket. All the sugar is going to do is attack your enamel and give you cavities. When you’re older you might not even have any teeth apart from the ones you pick up and put in every morning.